Qingdao Hairbeauty Arts And Crafts Co., Ltd. Custom 3d lash extension tweezers eyelash extensions tweezers Whatsapp:+8617865327670 Click below to see more style . More information you can read the banner on Alibaba homepage. We have professional design team to help you design and make your lables. How to contact you9 Answer: Please write do wn your request in the below blank and click the "Send" button. Zhejiang Yuemaifan Daily Necessities Co., Ltd.
Our products are manufactured under stringent quality control conditions and every instrument is sharpened, polished and finished by hand. Perfectly callibrated tension for more control and stess free tweezing ritual. In order to serve customers better we are producing high quality products and providing the satisfactory services. .
Get Your Private Design Professional Volume Eyelash Extension Tweezers Product Details Item Name: Eyelash Extension Tweezer Quality High Quality Brand Name: Star Colors Quantity: 1 pcs Service: Accept OEM/ODM Introduction TOP QUALITY, Offer Private Design Product Show Get Your Private Design Professional Volume Eyelash Extension Tweezers Large Store, Fast Delivery, Accept OEM/ODM Other Types Of Related Hot Selling Products Company Introduction 10 Years Experience In Manufacturing Eyelash Extension. OEM/ODM Is Accpeted. 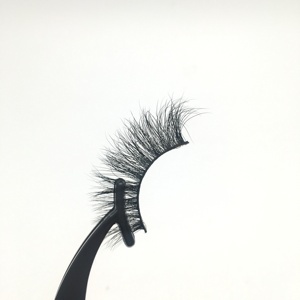 , To Get Your Private Label Eyelash. Tweezers Quality : Our tweezers have best quality with equal and fine tips to pick up the smallest & fine lashes having soft and easy grip. Tweezers Customization : We can make the custom designed tweezers also according to customer&rsquo;s specification and instructions. Packaging: We can provide the tweezers in poly bags, pvc pouches, leather pouches, blister packaging with customized backing cards. Step 4 : Hold the eyelash on the root of your natural lashes with a bit pressure. Precisely place strip or individual lashes with this applicator so clients can flirtatiously and stylishly bat their lashes. The hand-made, stainless applicator has a unique curved tip to hold lashes in the desired position for easy application. 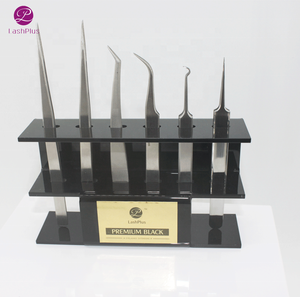 Braat tweezers are crafted from the finest surgical stainless steel available. 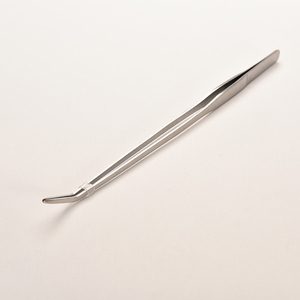 The X-Type tweezers work in reverse by holding onto the lash when you release your grip. Apply pressure and they release the eyelash extension exactly where you want. Tweezers Quality : Our tweezers have best quality with equal tips to pick up the smallest & fine eyebrows having soft and easy grip. 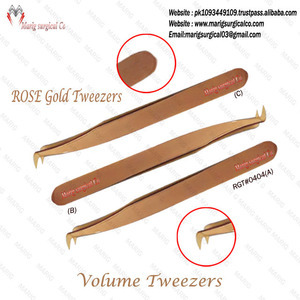 Tweezers Customization : We can make the custom designed tweezers also according to customer&rsquo;s specification and instructions. Packaging: We can provide the tweezers in poly bags, pvc pouches, leather pouches, blister packaging with customized backing cards. 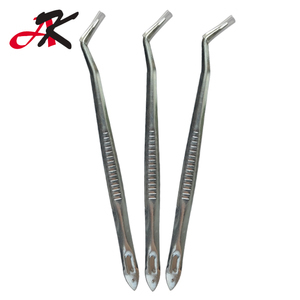 Alibaba.com offers 251 big tweezers products. About 35% of these are eyebrow tweezers, 3% are other hand tools, and 2% are the basis of surgical instruments. 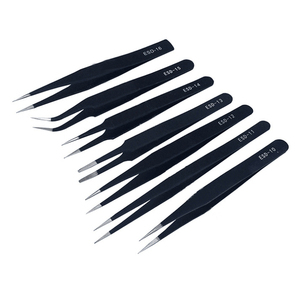 A wide variety of big tweezers options are available to you, such as slanted, pointed, and rounded. You can also choose from stainless steel, silver. As well as from free samples. 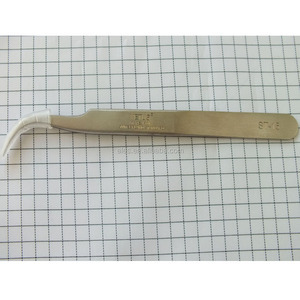 There are 251 big tweezers suppliers, mainly located in Asia. The top supplying countries are China (Mainland), Pakistan, and India, which supply 76%, 21%, and 1% of big tweezers respectively. 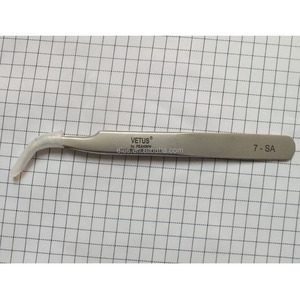 Big tweezers products are most popular in North America, Western Europe, and South America. You can ensure product safety by selecting from certified suppliers, including 11 with ISO9001, 6 with ISO13485, and 5 with Other certification.